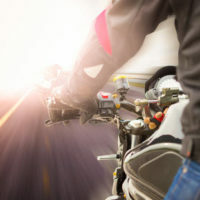 These incidents are responsible for about a third of the fatal motorcycle crashes in Florida, so understanding them is critical to understanding motorcycle crashes as a whole. Like most other motorcycle crashes, left-turn collisions often occur because the tortfeasors (negligent drivers) do not take an extra moment to look out for all other people and vehicle that share the road, including cars, trucks, pedestrians, motorcyclists, and bicyclists. Such failure is a clear breach of the duty of reasonable care. Back Injuries: If victims land on their backs, the vulnerable spine usually cracks, often in several places. If victims land on another body part, the jarring motion is usually enough to knock the spine out of alignment. Head Injuries: Similarly, the sudden motion has basically the same effect on the brain as when a person violently shakes a raw egg. In both cases, the inside is scrambled. Motorcycle helmets offer almost no protection against these kinds of injuries. Internal Injuries: The violent motion affects other internal organs as well, causing them to rub against each other and begin leaking vital fluid. Many times, these leaks are not addressed until many hours later. Because these and other wounds usually require aggressive surgery and extensive recovery, damages in motorcycle crash cases usually include compensation for both economic and noneconomic damages. In most cases, these awards are tax free. To obtain this compensation, victims can use a traditional negligence theory which relies on the aforementioned breach of duty. Failure to maintain a proper lookout also violates the careless driving law. As a result, motorcycle crash victims might be able to use the negligence per se shortcut. If this rule applies, victims only need to prove causation. In some cases, negligence per se only constitutes evidence of negligence and not absolute proof of negligence. In either situation, victim/plaintiffs must prove negligence or negligence per se (negligence based on a violation of statute) by a preponderance of the evidence, or “more likely than not.” This is the lowest burden of proof in the American justice system. Because the motorcycle rider nearly always sees the tortfeasor turn left and block the bike’s path, insurance companies usually introduce the last clear chance defense. This rule excuses a tortfeasor’s liability if the victim had a reasonable chance to avoid the crash and failed to do so. However, in most left turn motorcycle crashes, this doctrine does not apply. Victims must have the last clear chance to avoid these wrecks, as opposed to any possible chance. There is a significant difference. Two-wheel motorcycles are much more difficult to control than four-wheel vehicles, so emergency maneuvers are hard to perform. If the jury finds that both victim and tortfeasor were jointly responsible for the crash, the judge apportions damages based on the percentage of fault. Left-turn motorcycle crashes often cause serious injuries. For a free consultation with an experienced personal injury lawyer in Brandon, contact Reed & Reed. We have four area offices (St. Petersburg, Lakeland, Tampa, and Clearwater).